The Lynchburg Lemonade was the subject of a fierce legal battle between creator Tony Mason and the Jack Daniels distillery. Was it a drink worth fighting for? Not in its original form, I’d say. The classic Lynchburg Lemonade is equal parts Jack Daniels, triple sec, sour mix, 7-Up. 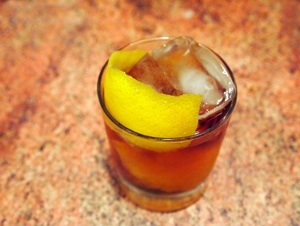 The whiskey is buried under sour mix and sweet orange liqueur, plus the sweet soda on top. Read the rest of the article by clicking here.